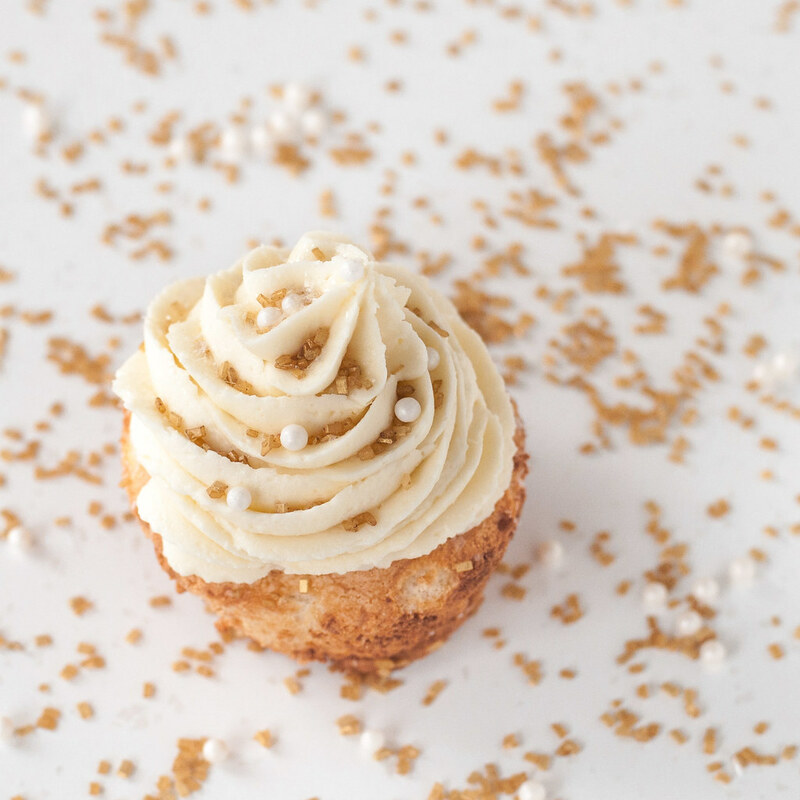 Angel food cupcakes aren’t the only thing getting their bling on. Steve proposed, so I get some, too! In case you were wondering, I said yes. Living the rest of my life with one of the few people on earth (hi parents) who cares more about my happiness and well being than his own? Not a difficult choice. I’ve actually been keeping this a secret from the blog and social media, except for a few undercover references, for a while. 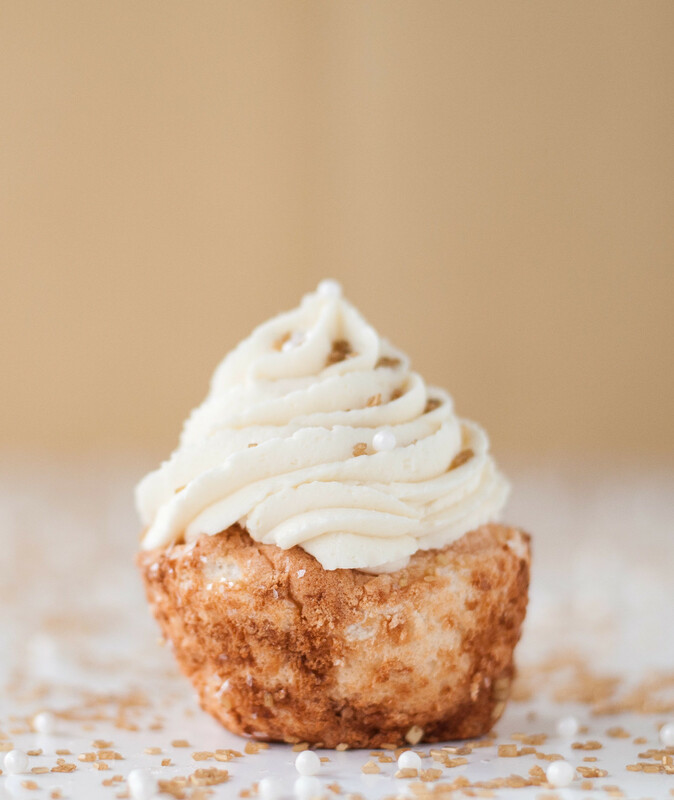 Because I’m a weird food blogger who could not bring myself to share this happy news without also bringing you a recipe for sparkly cupcakes, which happen to be my first homemade angel food cake. And because of everything I learned about egg whites this summer, they worked pretty darn well on the first try. Those room temperature, yolk-free egg whites whipped into a fluffy frenzy in six short minutes in their well cleaned, grease free mixer bowl. Hurray. 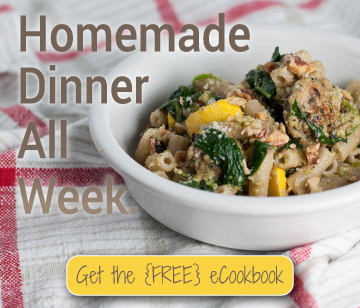 I’m not going to talk extensively about the recipe in this post, because maybe you want some juicy details about what where when did this happen?? Over a month ago on that trip to the Hamptons I told you about! I’m so sneaky. And why has it taken me so long to make these cupcakes and share the news? Because of that three-week-long nasty cold/allergies that I won’t stop whining about and that still hasn’t completely disappeared. 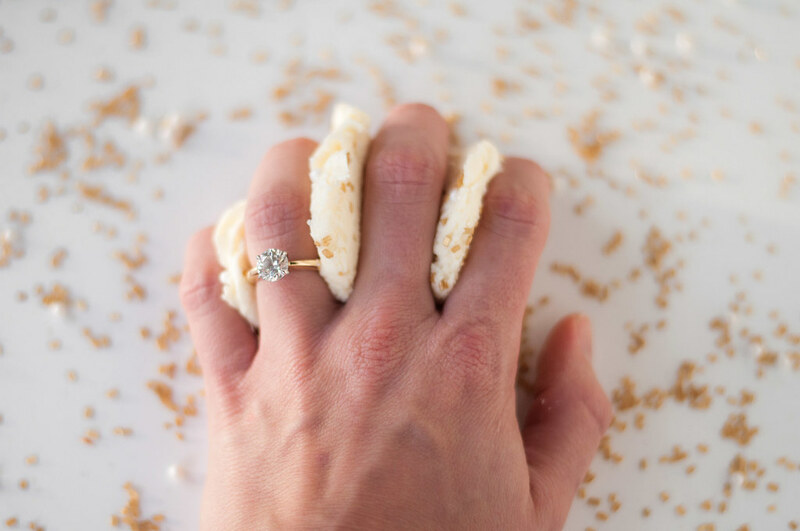 Dear runny nose, you’re ruining all our engagement fun! Except not at all. We’ve had plenty of fun celebrating by practicing saying “fiance” (or “fiancee”, for Steve), sharing the news with family and good friends, shooting engagement photos on Saturday in the pouring rain with Erica (and her assistant-in-training/husband), having our first engaged birthday (Steve’s, in Dallas), and, best of all, seeing my sisters on that trip to Dallas. Fun fact: when Toryn and Tristyn attended the OU-TX game last year, it was with their boyfriends. This year, fewer than 365 days later, we were all there with either our husband or fiance! Good things seem to come all at once, don’t they? Oh, and that housewarming dinner for Tristyn and Kian in their new NYC apartment? Well, yes, it was a happy little family reunion after three months of not seeing each other, but we were also celebrating the engagement I was keeping from you. Finally, I can show you these DELICIOUS cupcakes Tris got for us from Magnolia. They even had little engagement rings on them! One was a vanilla cupcake, if I remember correctly, with a super rich white buttercream. 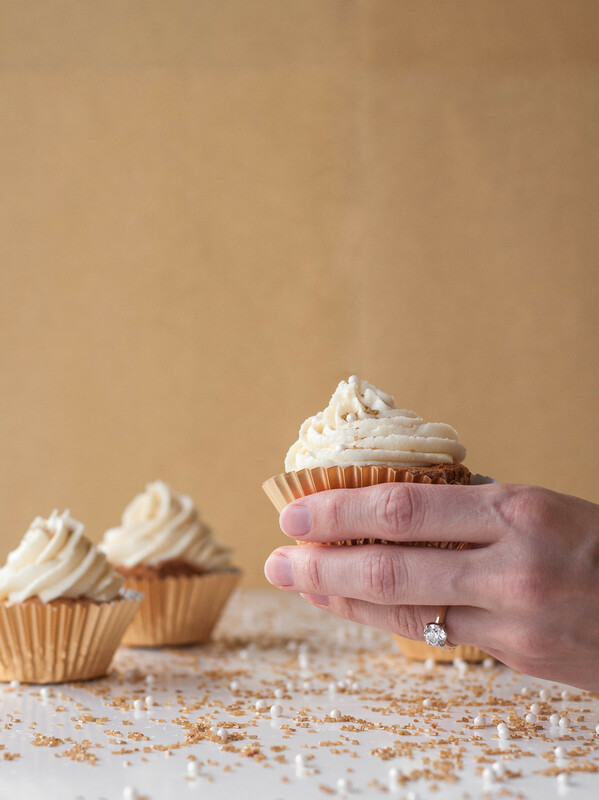 My idea for a cupcake recipe blog engagement announcement came to me shortly after Steve popped the question, but these Magnolia’s cakes really set the wheels in motion, and such a light, fluffy, sweet cake paired perfectly with the occasion. Angel food is also one of the few flavors Steve will sink his teeth into–anything berry, caramel, or marshmallow is out of the question. Because they’re all white and sparkly, these would be a fitting treat as snow starts to fall and the wintry holiday season commences. It’s true that angel food is much lower in fat than most other cakes, but the frosting is not so guiltless. I can assure you, though, it’s worth every tasty, white chocolate-y calorie. And now for the cupcake recipe. Angel food can be intimidating, but it's tough to beat the taste and sense of accomplishment that comes with successful cake. The recipe looks long for a reason--it includes precise measurements and lots of pointers to ensure the best chance of getting these delicious, fluffy cakes into your mouth, even if (like me) you've never attempted homemade angel food before. 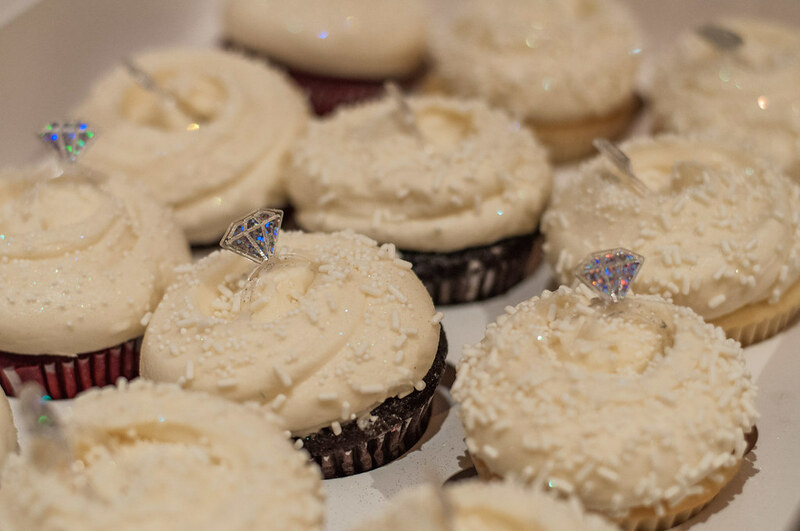 Optional, but highly encouraged, decorations: lots of sparkly or colorful sprinkles! While the eggs are cold, separate and reserve the egg whites. Adjust the quantity of eggs slightly if needed to reach ¾ C whites. It's very important that the whites are completely free of yolk and shell, or they may not "fluff" when beating them later. Cover the egg whites and bring to room temperature (around 70 degrees F) for 1½ to 2 hours. While the egg temperature rises, measure the flour and powdered sugar, then sift them together with the salt. Measure cream of tartar, sugar, and vanilla each into separate bowls so they're ready to add to the mixer while it's running. Have a nonstick cupcake pan ready (see notes). When the eggs are ready, preheat the oven to 350 degrees (F), and add eggs to a completely clean metal or glass bowl of a stand mixer fitted with the whisk attachment. Whisk on medium low speed (4 of 10) until frothy, about 2 minutes. With the mixer running, add cream of tartar, increase speed 1 "notch" (6 of 10) and beat until soft peaks form, about 3 minutes. You should turn off the mixer to check this when the eggs look close, to make sure you don't overbeat them into stiff peaks. After confirming, resume beating at medium low speed (a 4, again), adding a tablespoon of sugar about every 30 seconds. Beat another minute after adding the last of the sugar, then check for only slightly stiffer peaks. They should not be completely stiff. The process of adding sugar and beating for an additional minute took me 4 minutes. Egg temperature will impact mixing times, so watch for the signs indicated, even if it takes a minute or two longer to get there. Gently drizzle vanilla over surface of the egg mixture and beat on low speed until just incorporated. In four batches, sprinkle the dry ingredient mixture over the surface of the batter and use a rubber spatula to gently fold by hand until incorporated smoothly. Be patient with the folding--it's necessary to keep the air pockets, the only leavening agent in angel food, in the batter. 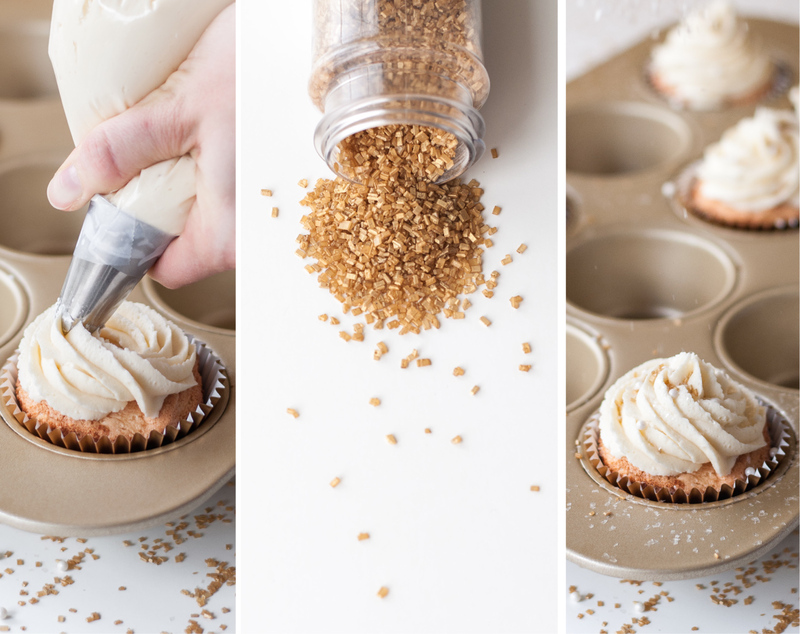 Use a spring ice cream scoop or one third cup measure to evenly distribute all the batter amongst 12 cupcake wells. Bake for 18 to 20 minutes, until tops are golden and spring back slightly when touched. Don't open the oven until you suspect the cakes are close to being done. If using an unlined nonstick pan, cool the cupcakes upside down, with the pan carefully propped at each corner on a can or other level items. 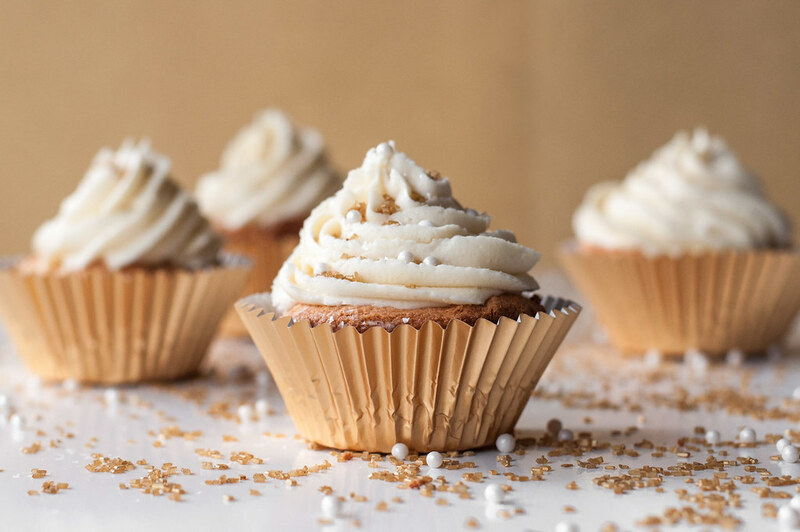 Remove cupcakes from pan once cooled. If not using liners, slide a small paring knife around the outside of each cupcake to loosen it. I also used a large spoon to sort of scoop the cupcake out of the well gently. Once cooled completely, frost or wrap individually in plastic wrap (see notes). Place white chocolate in a completely dry glass bowl set over a saucepan of water (water shouldn't touch bottom of bowl). Heat over medium (to eventually simmer the water), stirring more frequently with a rubber or silicone heat-safe spatula as the chocolate begins to melt. When almost completely melted, remove bowl to a towel or potholder, careful not to get any water in the chocolate. Continue stirring until fully melted, then allow to cool while you start the icing. 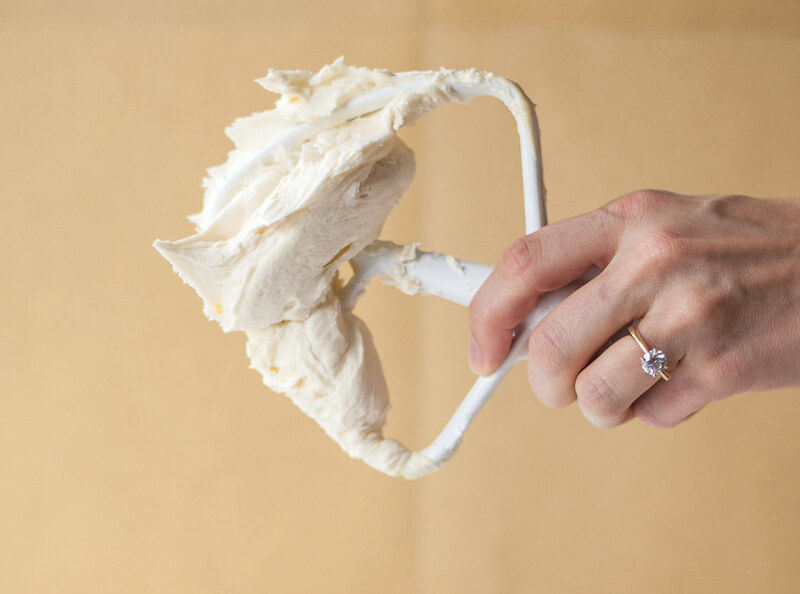 In an electric mixer fitted with a paddle attachment, or in a bowl using a hand mixer, beat butter at medium high speed until lightened and creamy, a minute or two. Scrape down sides of bowl as needed. Beat in vanilla until incorporated. Add powdered sugar a little at a time, reducing mixer speed to low when initially adding the sugar, so it doesn't fly everywhere. Increase speed to fully incorporate, then repeat the process until all the sugar is added. Scrape down sides of bowl as needed. With the mixer running on low speed, constantly drizzle in the melted, cooled white chocolate until fully incorporated. Don't turn up the speed on the mixer; the goal is to stir in the chocolate. Add milk or cream and beat on low speed, to soften the frosting slightly. If you prefer a more liquid consistency, add more milk a teaspoon at a time. Work with the frosting immediately, frosting the cupcakes by hand or using a bag and frosting/decorating tip as I did (you can see in the photo, my setup is nothing fancy--a heavy duty resealable plastic bag with icing tip inserted). Alternately, refrigerate icing in airtight container, then bring almost to room temperature before using, to soften the frosting. Decorate cupcakes with sprinkles of your choice! When baking such a delicate recipe, precision is key, which is why I took to weight measurements for some dry ingredients. I got my kitchen scale for $15 at Costco, and it's one of my most used kitchen appliances--very much worth the small investment. If you have a small postal or tooling scale around, you can also use that. I tested baking both in an ungreased, nonstick cupcake pan and in paper liners. I was happy with both results. The cakes baked right in the pan have a traditional cupcake shape, while those baked in paper sucked the wrapper sides up so they were completely vertical, with no issues of the cake sticking to the liner. Use either method, but DO NOT use a greased pan--it may result in flat cupcakes. 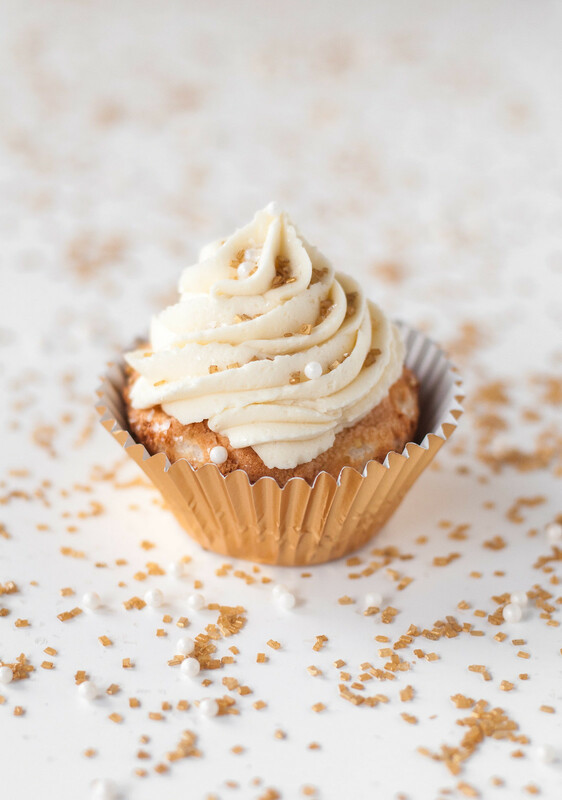 Angel food cupcakes don't stay fluffy for long. When making these for company, bake them a day in advance at most. Wrap individually in plastic wrap and store in an airtight container. I didn't freeze them, but Joy of Cooking advises freezing for not more than one week. You can microwave white chocolate, but I find it's very prone to burning, so I prefer the double boiler method. I don't use an actual double boiler--just a glass bowl set over a saucepan. I've never had a problem using room temperature eggs or egg whites; however, be advised that this may be contrary to the most conservative food safety precautions. Cupcake recipe quantities and serving size adapted from How Sweet It Is angel food cupcakes; icing barely adapted from her white chocolate frosting. Gramma Green would be so proud of you putting out an angelfood recipe so close to her birtday………She so loved making angelfood cakes for the loved ones she lost on their birthdays and this would be a recipe she would love making. I love angel food cakes.. so I can imagine how good these cupcakes must have tasted. 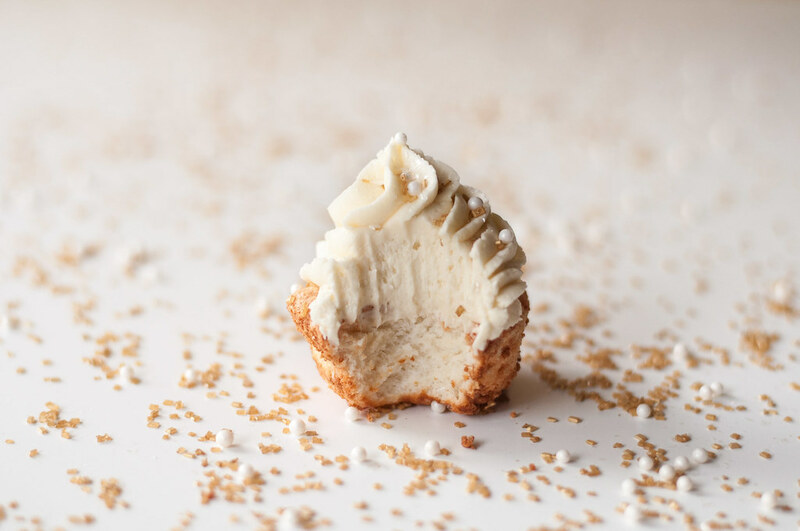 I am just drooling here over your delicious images and all that white chocolate buttercream. Great recipe Tessa, you definitely have got me hungry!